Garmin Forerunner 10 has been designed as a very stylish running watch that incorporates GPS for effectively tracking your speed, distance and the amount of calories burned. Forerunner 10 is capable of identifying and storing your personal records that boost your spirits when you see the improvements in your performance. The strength of Garmin Forerunner 10 lies in its user friendly design that allows you to start your run at the touch of a button. The distance and time taken to cover that distance are displayed on the main screen while your current pace and the amount of calories burned are shown on another screen. However, the settings provide complete customization of your Forerunner 10, and you can change the display options to track the distance and your current pace using the same screen. Garmin Forerunner 10 provides the convenience of wearing a regular wristwatch. In fact, its lightweight materials, multiple color options and stylish design make it one of the most comfortable watches that incorporate GPS and other features of a performance monitoring system. The black/red and orange/black models have been specifically designed for people who like a bit larger watch face or wider wristband. 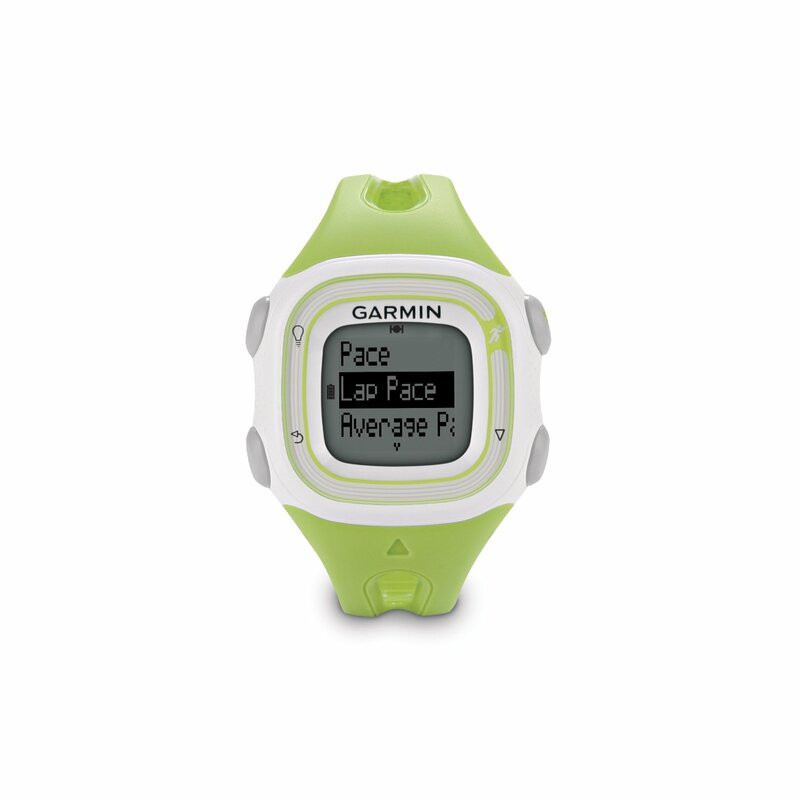 So, you can wear your running partner like a regular watch and use the GPS when required. If your GPS requirement is approximately 30 minutes per day, the battery of Forerunner 10 is strong enough to last for 10 days. However, the battery can support 5 hours of continuous tracking using its GPS. 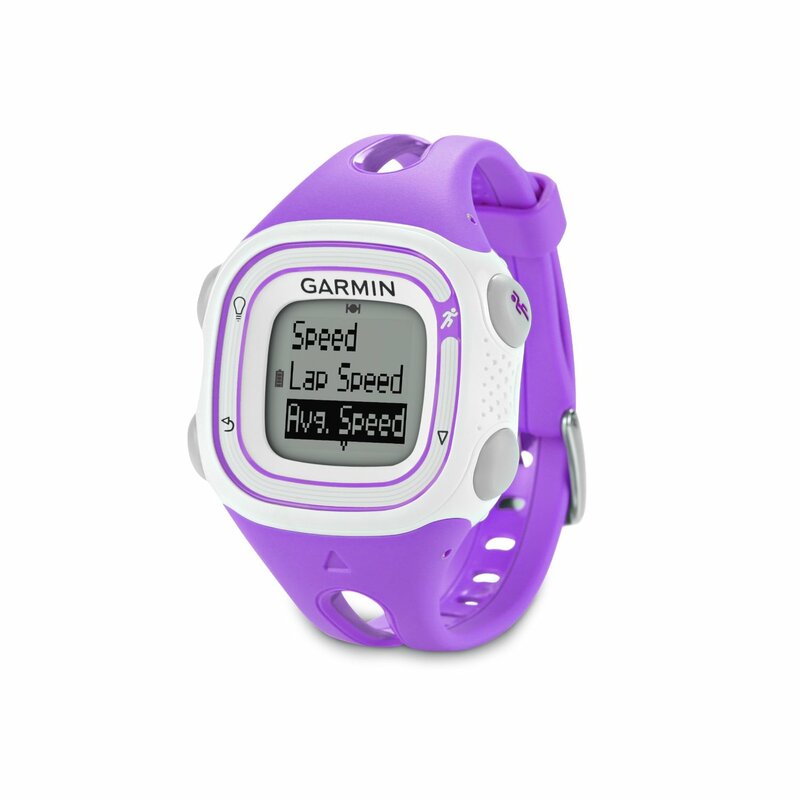 Garmin Forerunner 10 includes several features that keep you motivated during your run. On completing each mile, a friendly beep informs you that you have covered one-mile distance, and the screen starts flashing with the time you have taken to cover that mile. Once you hit the stop button after completing a run, Forerunner 10 displays the performance indicators like total distance, time taken to cover that distance, average pace and the amount of calories burned during the run. Forerunner 10 provides the option of saving your personal records and keeps track of your personal achievements like your fastest pace to cover a mile or longest run till date. Garmin Forerunner 10 provides simple yet very effective training features to support the requirements of sporting enthusiasts and athletes who want to push their limits. It allows brisk walking or jogging with walk breaks to prepare the aspiring athletes for high performance running by building their strength and stamina. Virtual Pacer™ allows the professional athletes to compare their current running pace to their targeted speed. When Garmin FR 10 connects to your computer, it empowers you to upload your saved data to Garmin Connect™ for creating a map of your run and getting more detailed analysis on each mile covered during your running. You can also share these reports with your friends and family. Uploading to Garmin Connect™ is absolutely free, but it significantly boosts to your motivation clearly showing your performance improvements over a period of time, say one week, one month or even years. 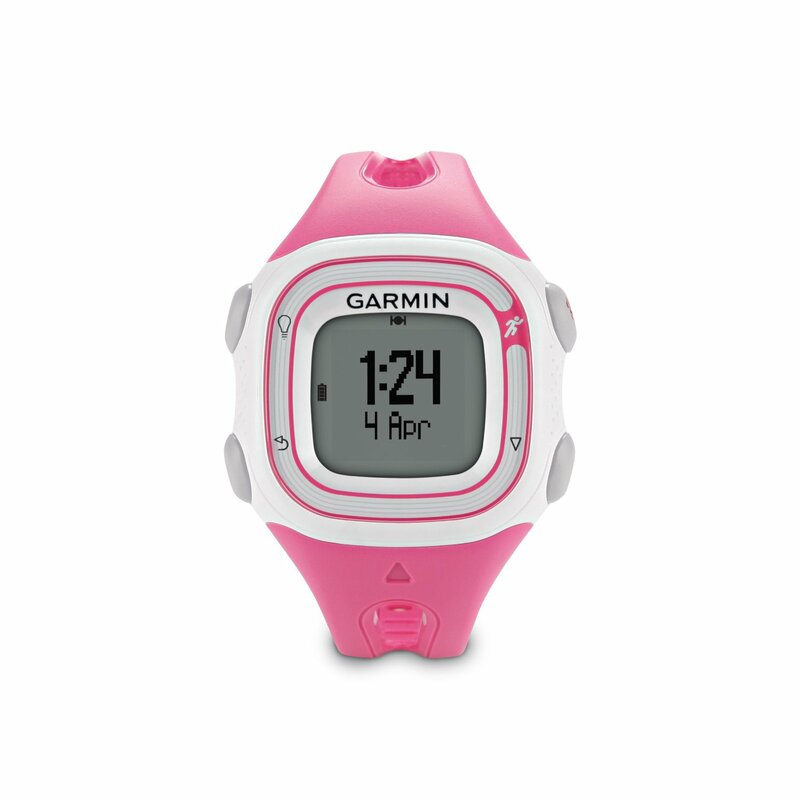 This entry was posted in Garmin GPS Running Watch and tagged Garmin, Garmin Forerunner 10 GPS Watch. Recommend A Garmin Running Watch?